A great idea for staff, sales team members or as a gift to clients. 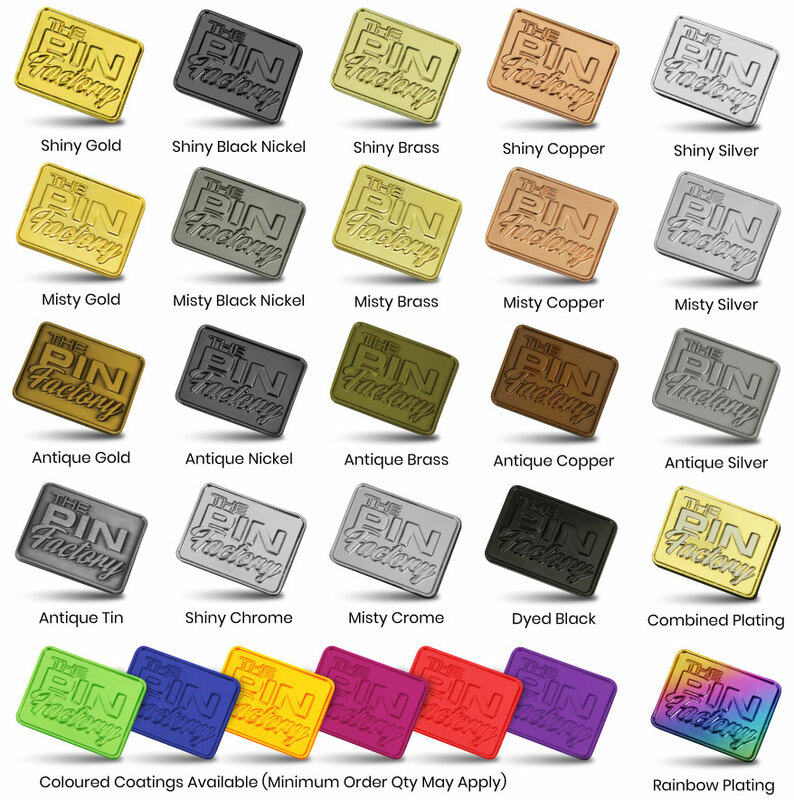 They can also be used as an award or a prize when designed correctly, we offer up all the same options as our other metal products including enamel filled designs, moulding only, over 20 metal finishes and colours. Don't forget to ask about our 100% Free mockup service too! Where we actually design your products and show you a preview of the finished item prior to production. Custom branded belt buckles with your logo! Customised belt buckles are a great branding value, and they’re also a great way to commemorate the completion of a major project or a long career. It’s easy to order our branded belt buckles for shipment anywhere in Australia because our designers do all the work for you. Order today and showcase your marketing message for years into the future! We offer numerous promotional products and corporate gifts, but our custom belt buckles are one of our most popular lines. These buckles are a fine way to reward team members for the successful completion of projects, to honour workers for attaining certain goals, or to let VIPs know how much they’re appreciated. Whether it’s worn as a sign of achievement or a badge of honour, our customised belt buckles are a practical, yet memorable solution. Whilst a belt will literally hold the wearer’s outfit together, it would be useless without the buckle. Belt buckles are front-facing, standout pieces, and that’s what makes them such useful marketing tools. Buckles may also be worn as the recipient goes about his or her daily duties, or by retail associates as part of a uniform. The versatility of belt buckles is what makes them so appealing to different kinds of people; because they reach such a wide audience, your brand will be seen by an unlimited number of people. Our custom belt buckles are made of sturdy materials that give them a lengthy lifespan, and they’re so versatile that they can be used with a range of belts. Transferring buckles from one belt to another is quite easy, which means these products can be worn in numerous ways. We sell customised belt buckles for leather belts, fabric belts, and almost any other sort of belt a person can wear. The versatility of our belt buckles makes them a fine marketing tool or promotional gift. Whilst these make excellent employee gifts, they’re good corporate giveaways as well, and almost any industry will be able to use these buckles for their marketing needs. Our custom belt buckles are particularly useful in the fashion industry, as they add style to any outfit. Our belt buckles are made with a range of materials and manufacturing methods. The shape, style, and numerous branding options make complete customisation easy, and we have higher-end and budget-friendly options for any need. Most of our belt buckles are made of die-cast metal and other durable materials to lend them a solid, high-quality feel and give them a longer lifespan. Call us to learn about your material, production, and branding options. Because our customised belt buckles are quite heavy, they’re somewhat costly for our customers to ship. For personalised presentation, we suggest distributing these products on a one-on-one basis. However, because we sell in bulk, we offer inexpensive shipping throughout Australia. With fast shipping and short lead times, why order anywhere else? Call us or visit us online to get started.